The Impact Radar aims to offer a credible and comprehensive set of impact categories that can be integrated with the tools developed to deliver PI finance and contribute to a common frame for the assessment of PI products in the industry. The radar captures the core elements of the SDGs in a way that is applicable to business. It is anchored in international definitions and standards. It is global, neutral and practical. 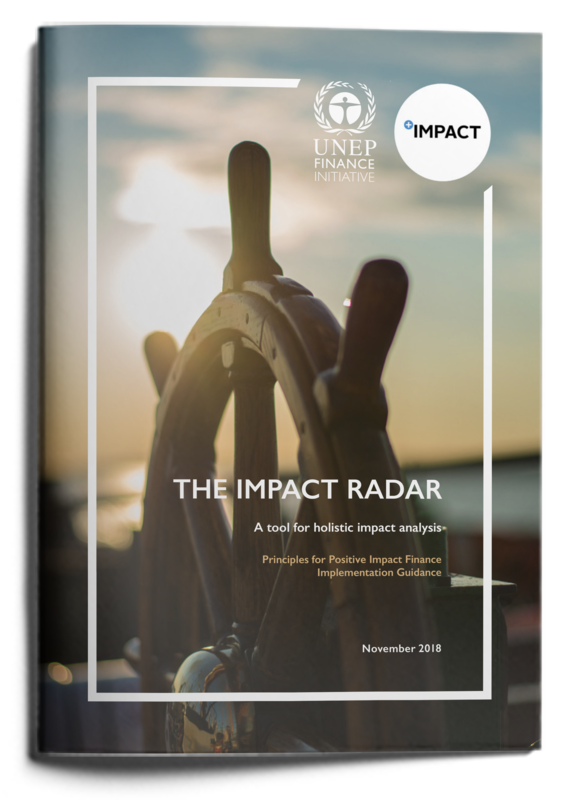 The Impact Radar is part of suite or resources designed for holistic impact analysis, the cornerstone of the approach to financing sustainable development advocated by the Principles for Positive Impact Finance. It should be used in conjunction with Positive Impact Model Frameworks or other proprietary or holistic positive finance tools.